HOUSTON - A man is facing felony charges after Montgomery County deputies followed a fuel slick for 4 miles. 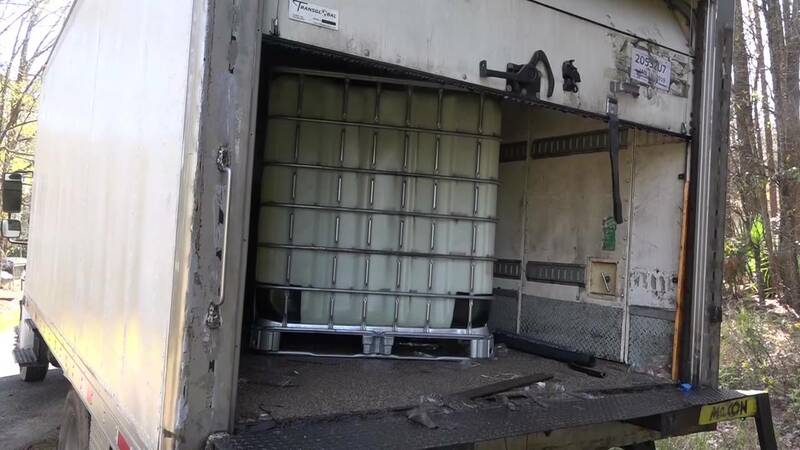 The culprit was a truck full of leaking fuel cans. Hazmat crews and the Department of Public Safety have been sent to assess the roadway, ditches and neighborhood where the diesel was reported. According to the Montgomery County Sheriff's Office, calls started coming in regarding slick roads near State Highway 99 at Valley Ranch Parkway and FM 1314. When deputies followed the trail of spilled diesel into a neighborhood, they found a truck with fuel leaking out of the back, deputies said. Officials discovered two plastic containers with 500-gallons of diesel that were still leaking and almost empty. The Texas Department of Transportation dispatched and an environmental service company to the spill. "It's dangerous. I slid a little coming in on my four-wheel-drive truck. Some others have as well, so we urge you to use caution coming into this area, but they'll have a solution soon. Some kind of rock or sand to put on it to help clean this up," said Montgomery County Commissioner James Metts. The Sheriff's Office is trying to determine where the fuel came from. DPS reported 20 violations on the truck and felony environmental charges may follow.